The Southeastern area of the U.S. is one of the richest vertebrate fossil localities on the east coast of North America & was recognized as such by Louis Agassiz during his first visit to Charleston in 1847 when he saw the first collection of fossils accumulated by local planter Francis Holmes. Holmes was made curator of The Charleston Museum in 1850 & spent the following years writing books on paleontology & leading the way in developing the mining of phosphate near Charleston. 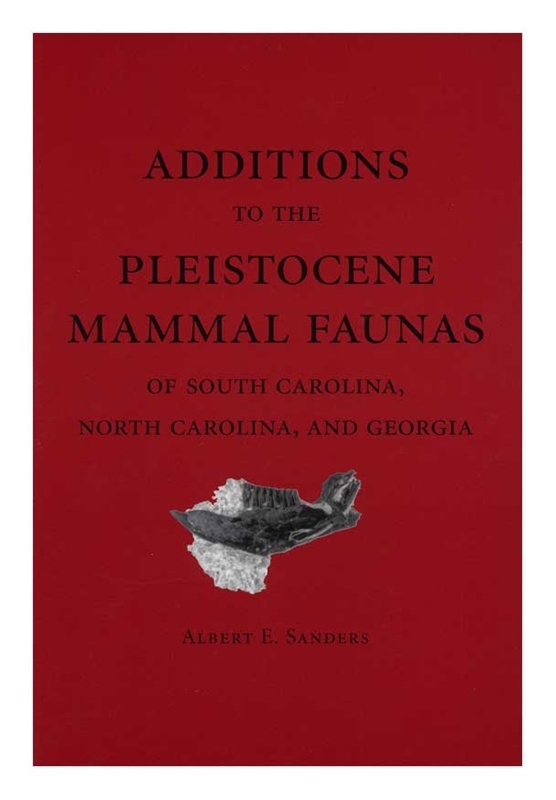 Sanders reports discoveries of vertebrate fossils near Charleston & Myrtle Beach, S. Carolina, & in Brunswick County, N. Carolina, which have provided new records of 37 Pleistocene mammal taxa on the Atlantic Coastal Plain. Maps. Black & white illustrations.